Welcome to Tracy’s Tropical Treasure #4 in Kihei, Maui! The beach is less than 250 footsteps from your front door! *Tropical Treasure #4 is one of two units that houses up to 4 guests. *Tracy’s Tropical Treasures were VOTED the #1 Vacation Rentals in all of Maui* I own 4 Tropical Treasures in Maui and manage multiple others. Tracy’s Tropical Treasures were named the #1 Maui Vacation Rental in 2016. I have 4 units to choose from. For award information, simply go to Tracy’s Tropical Treasures and look under the tab “Awards”. Tracy’s Tropical Treasures also made the shortlist of “Radical Businesses in the 50th State”. This article can also be found under Awards. Tracy’s Tropical Treasure #4 is a 5-Star Quality, 1st floor condo that’s comparable to any Wailea resort hotel room, only it offers homestyle amenities at a fraction of the price. ~ This condo houses up to 4 guests and is fully remodeled from floor to ceiling. ~ Pool, Gas BBQ Grills. Outdoor Picnic Tables, Hot Tub, Outdoor Showers, Outdoor Restrooms, Tennis, Laundry Center, and FREE PARKING all on site…. 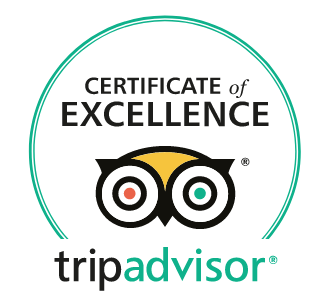 ~ We are super excited that TRACY’S TROPICAL TREASURES were named the #1 BEST VACATION RENTAL IN ALL OF MAUI. ~ Tracy’s Tropical Treasures are also SOME OF THE ONLY LISTINGS IN ALL OF MAUI TO EARN *5* OUT OF *5* STARS IN ALL 7 AREAS ON AIRBNB! In addition, they have also earned *5* out of *5* stars in all 7 areas on Flip Key and a perfect score on TripAdvisor, too. ~ Don’t delay, book today, our guests love it, and we have been Superhosts on Airbnb every single quarter for over 6 years! *Our nightly rates already includes the mandatory Hawaii State tax of 14.52%! So no additional taxes will be added. ~ Super easy and “lightning fast” check in, just enter your “secret code” and open the door. Even faster check out, just close the door behind you. Flight delays and/or late arrivals are never a problem when you stay at Tracy’s Tropical Treasures! ~ If your dates are not available, please check the other 3 units we own. They are also listed on Airbnb under TRACY’S TROPICAL TREASURE #1: OCEAN VIEW, Unit #157, TRACY’S TROPICAL TREASURE #2: THE CORNER PENTHOUSE, Unit #222, and TRACY’S TROPICAL TREASURE #3: OCEAN VIEW, Unit #155. For reference, Tracy’s Tropical Treasure #4 is unit #158. ~ Tracy’s Tropical Treasures are owner operated and owner managed, so no middle man management companies involved. 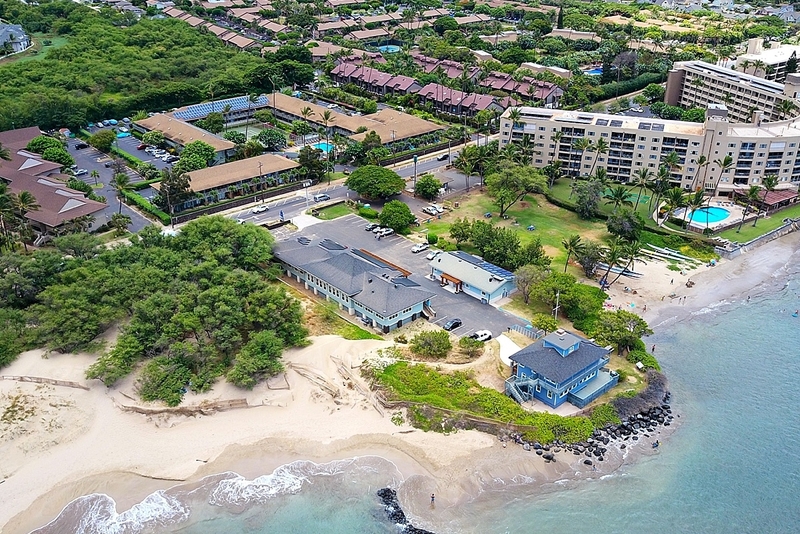 ~ Experience the ultimate in comfort, luxury, and style with a FULLY LOADED 600 SF Maui Studio with lanai that doesn’t cut any corners and is LESS THAN 150 FOOTSTEPS AWAY FROM THE OCEAN, THE BEACH, AND A BEAUTIFUL BEACH PARK COMPLETE WITH OUTDOOR SHOWERS, PICNIC TABLES, & FREE PARKING. NOW THAT’S WHAT I CALL CONVENIENT!!! ~ Stay in our fully renovated, poolside, DELUXE OCEAN VIEW, Kihei condo, and save your hard earned money for fun Maui activities/tours, unique boutique shopping, and fabulous fine dining! ~ Book today, and enjoy your TOTALLY PRIVATE, LUXURY, GROUND FLOOR CONDO that underwent $60,000+ in “top to bottom renovations” including brand new, top of the line furnishings throughout. Our coastal décor is artsy, trendy, and features stylish, designer, high-end pieces, and top-of-the-line luxury items. ~ In addition, it is FULLY STOCKED with EVERYTHING YOU WILL NEED to completely enjoy your Maui vacation at the BEST POSSIBLE PRICE, THUS SAVING YOU EVEN MORE MONEY AND ACKNOWLEDGING THAT YOUR TIME IN PARADISE IS PRECIOUS…. ~ We will happily handle the shopping, stocking, cleaning, and other important details so that your Maui vacation is truly special, extra romantic, and extremely relaxing. We have been in the Hospitality Industry for over 25 years, and it’s really how we live our lives. PAMPERING OUR GUESTS IS OUR NUMBER ONE PRIORITY! PLEASE TAKE THE TIME TO READ OUR REVIEWS FOR THE PROOF…..
~ RESORT LIKE AMENITIES include a high powered, extremely quiet, CENTRAL air conditioning system, keyless entry, triple pane windows, high end window shades, soft and luxurious custom bedding, Cariloha (Resort Line) 100% Bamboo Linens on both queen beds (this is a $400 value), a super comfortable, ultra plush, queen sized (top of the line) Select Comfort bed where each guest can use the remote to find their perfect Sleep Number (almost every single one of my guests say this bed is the BEST BED they have ever slept on! ), 100% bed bug protection, pollen protection, and dust mite protection through very expensive and advanced zippered allergen barrier mattress and box spring fabric encasements that are also 100% pesticide and chemical free, and tons of fluffy and fresh down filled pillows. The condo is also equipped with a flat screen TV (Smart TV with video streaming capabilities), plus high speed wireless internet and a home phone/answering. ~ We are also happy to offer a home phone with FREE, UNLIMITED LOCAL CALLS, FREE, UNLIMITED CALLS TO ALL 50 STATES, and FREE, UNLIMITED CALLS to CANADA, CHINA, HONG KONG, PUERTO RICO, GUAM, JAMAICA, U.S. VIRGIN ISLANDS, WAKE ISLANDS, SAIPAN, and MEXICO. In addition, you will find a DVD player (including Blu-ray, Netflix, Hulu, and other Video Streaming), over 75 awesome DVD movies (all genre types, including tons of new releases), Premium Cable TV with over 125 channels, sparkly quartz countertops in the kitchen, under cabinet lighting, soft close cabinets and drawers, plus excellent lighting throughout. There is also a lanai with a view perfectly centered on the ocean, a Coffee Machine, a French Press, a Coffee Bean Grinder, a Brita Water Filtration System, and even a Nutri Bullet Blender. The best part: though, is the vivid views of the ocean that you will literally be able to experience right from the comfort of your bed. It truly is postcard material, especially when the full moon casts its magical light on the beautiful Maui ocean. Tracy’s Tropical Treasure #4 provides the ultimate venue for quintessential Maui vacationers. ~ Your fully equipped, heavily stocked, ULTRA FABULOUS GOURMET KITCHEN FIT FOR A CHEF has all new, stainless steel appliances (including a dishwasher), solid wood, custom cabinetry, soft close cabinets and drawers, under cabinet lighting, glass tile backsplash, plenty of built in storage space for all your household items, and absolutely beautiful quartz counter tops that sparkle in the Maui sun. There is also a microwave, plenty of cookware, a coffee maker, a coffee bean grinder, a French press, a Nutri Bullet blender, a toaster, a rice maker, Henkel knives, and a variety of BBQ accessories. In addition, basic supplies like Olive Oil, Pam, an assortment of hot teas, salt, pepper, approximately 20 other spices, aluminum foil, saran wrap, coffee filters, and miscellaneous baking ingredients can all be found on site. We do not supply coffee since guests have many different preferences. ~ The custom designed BATHROOM features beautifully tiled walls and floors. We were definitely going for a “Peaceful and Serene Spa Experience” when designing the bathroom. In the hallway adjacent to the bathroom, you will find a beautiful, separate vanity area that could easily be used as a desk/workspace for your laptop. The bathroom and convenient vanity/desk area are guaranteed to delight all of your senses! ~ We also provide plenty of fluffy, soft, oversized bathroom and beach towels, hand towels, and wash cloths. You will also find beach chairs, a beach umbrella, a cooler, tennis rackets, tennis balls, a beach paddle ball set, yoga mats, binoculars, a luggage rack, an iron/ironing board, a magnifying vanity mirror that lights up, a hair dryer, a magnifying vanity mirror that lights up, an iron/ironing board, a sleek and stylish luggage rack, and a fully stocked First Aid Kit. We also supply a Sewing Kit, a Tool Kit, and plenty of cleaning products. ~ On-site, you will also find a large collection of informative Maui books, several creative & fun card and board games, and a very special and popular Hana Road Tour CD for your vehicle that you can help yourself to during your vacation. ~ For your convenience, there is also a very affordable coin operated laundromat on site with 20 full-size machines; cost is only $1.50 per load to wash and $1.25 per load to dry. Let your stress melt away in the pool lounge chairs while sipping a Mai Tai as you bask in the sun and swim in the pool. Great gas BBQ area at the pool with tropical breezes each night as the sun sets. Simply walk across the street (less than 150 steps), and you will have direct beach access at anytime. Our prime location provides unbelievably, easy access to South Maui’s most popular activities and attractions. By choosing Tracy’s Tropical Treasure #4, you will have the perfect recipe for a fun filled, relaxing, romantic, action packed vacation. Do as little as you want or as much as you desire. Everything is at your fingertips in this premier location. Jump in your car and you are only minutes away from Wailea, where you will find all of Maui’s exclusive resorts, fine dining, the upscale Shops of Wailea, not to mention the incredibly, picturesque, award winning golf courses. In addition, Tracy’s Tropical Treasure #4 is only 9 miles from the main airport in Kahului, Maui. ~ Last but not least, other useful items stocked on site include paper towels, toilet paper, garbage bags, dish soap, kitchen sponges, plus toiletries like Q-Tips, cotton balls, shampoo, conditioner, hand soap, shower gel, etc. The list just goes on and on. The premier location, coupled with the over abundance of amenities we provide, will hopefully make Tracy’s Tropical Treasures the TOP CHOICE for your Maui Vacation! Most of our guests have commented in the Home Journal that the condo was better than staying in a five star hotel or luxury resort! In fact, one guest even said that their room at the Four Seasons in Wailea paled in comparison to Tracy’s Tropical Treasures. ~ I absolutely hate checking into a new place that is not already stocked with supplies, don’t you? That will never happen if you stay at Tracy’s Tropical Treasures. SAVE TIME AND MONEY BY BOOKING NOW…. ~ I just can’t understand why anyone would want to pay triple the price to stay in a cramped hotel room without the convenience of a full kitchen. Did you know that almost all hotel rooms in Maui are under 300 square feet? ~ Also, with our 600 square foot place, on-site parking, unlimited AC, cable TV, an in room safe where you choose the code, the 14.52% mandatory Hawaii State Tax, and unlimited WIFI have already been conveniently factored into your daily rate. There will never be any last minute surprises! Don’t you just hate that, I know I do. In Maui, unexpected fees can add up fast, especially when most places charge $25 per day for parking plus additional (hidden) resort fees, and even daily fees for WIFI and the use of the in room safe. Give me a break! My fees are totally upfront: the mandatory accommodation tax in the state of Hawaii of 14.52% that everyone (no matter where you book) has to pay has already been included in my daily price. That just leaves a departure cleaning fee of $135 plus Airbnb charges a small service fee (roughly 9%) for using their site. Don’t take chances, I’ve got the place you’ve been searching for at the BEST POSSIBLE PRICE WITH THE LEAST AMOUNT OF HASSLE. THIS IS IT, FOLKS! ~ The BEACH, a nice PARK, and Maui’s only WHALE EDUCATION CENTER, complete with viewing telescopes, are directly across the street (IN LESS THAN 150 STEPS FROM YOUR FRONT DOOR, YOU CAN NOT ONLY BE AT THE BEACH, BUT YOU CAN ACTUALLY BE IN THE OCEAN). How cool is that? ~ In less than 30 steps, you will find the pool with restrooms, an extra large, outdoor jacuzzi, a barbecue area with picnic tables, an outdoor shower area, tennis courts, and tropical, lush courtyards bearing fruit trees that offer TOTALLY FREE limes, bananas, avocados, and papayas. ~ Once a regular destination for Hawaiian royalty, Kihei is home to some incredible views and six miles of stunning beaches. It is a known fact that sunny Kihei has the best climate in Maui – warm weather year-round with the lowest precipitation on the Island! In addition, Kihei is known as the pivoting point to all Maui activities. With six miles of sun-kissed beaches, it’s no secret why Kihei has boomed into the island’s largest tourist destination. ~ This condo is situated in a perfectly central location. It is within easy walking distance (less than 2 miles) to EVERYTHING: shops, restaurants, beaches, public parks, grocery stores, gas stations, kayaking, surfing, snorkeling, wind surfing, fishing, the “Triangle Night Life”, medical facilities: you name it! It’s all literally around the corner. In addition, you are just minutes away from Wailea, and only 10 miles from the airport in Kahului. For your convenience, there is also a bus stop within 100 feet from the front door. ~ You will be DIRECTLY ACROSS THE STREET from one of the most popular wind surfing beaches in all of Maui, and you will have a DIRECT OCEAN VIEW from the lanai, living room, dining area, kitchen, and sleeping quarters. It’s truly a picture perfect, romantic setting which is conveniently located near the FRONT END of the property which parallels the popular South Kihei Road. The condo is equipped with triple pane glass windows. ~ Did I mention that during whale season, you can actually watch the whales breach from both the comfort of your bed or while enjoying a meal on your lanai? I can assure you that this isn’t a “peek a boo” ocean view: this unit arguably has the best ocean view in the entire complex (see photo). ~ The private, tiled LANAI boasts a breathtaking ocean view where you can watch graceful whales play, the kite surfers dance, and catch the most fabulous, panoramic sunsets and vibrant, rainbow-striped skies. It is truly postcard material! The lanai is equipped with a small end table, two super comfy chairs, and two ottomans: perfect for resting, reading, and/or outdoor dining. In addition, you are less than two blocks away from the world famous Sugar Beach – the only FIVE-MILE BEACH WALK in all of Maui! ~ Isn’t it about time to experience the true feeling of peaceful Hawaii? WELL, THIS IS IT, FOLKS!!! ~ At these bargain rates, days are going to go fast, so please don’t wait to pay. Check the calendar and if it’s open, please pay right away…that way you are guaranteed your dates. The first one to pay secures the dates, so don’t delay, as we experience multiple emails each day. ~ If you have any questions, feel free to email me anytime. I will answer all questions within 24 hours – GUARANTEED! ~ Sorry, but no smoking allowed INSIDE the condo or on the lanai. ~ ALSO, THIS SPACE IS LIMITED TO NO MORE THAN FOUR PEOPLE. Sorry, this is a condo association rule, and unfortunately, we cannot make any exceptions. ~ Oh yeah, parking is right on-site and totally free! ~ After booking, always remember to consult your local insurance provider about the benefits of travel insurance. ~ As a special bonus, daily maid service and/or mid stay cleans are available for an additional fee. All information is conveniently displayed inside the condo. ~ I am looking forward to speaking with you and sharing my ALOHA spirit. Thank you for taking the time to read my lengthy property description! ~ Mahalo nui loa! Malama pono! …..All rights reserved, copyright exists.